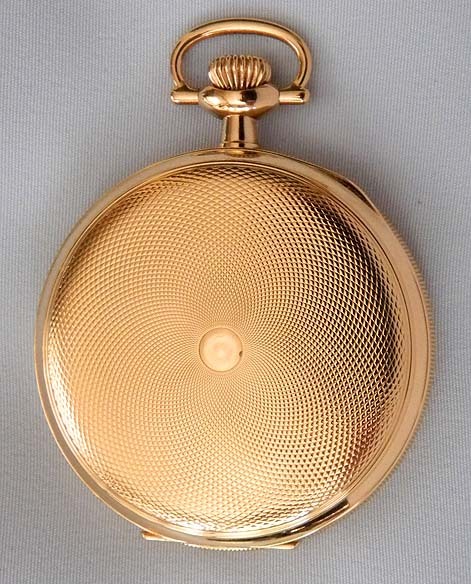 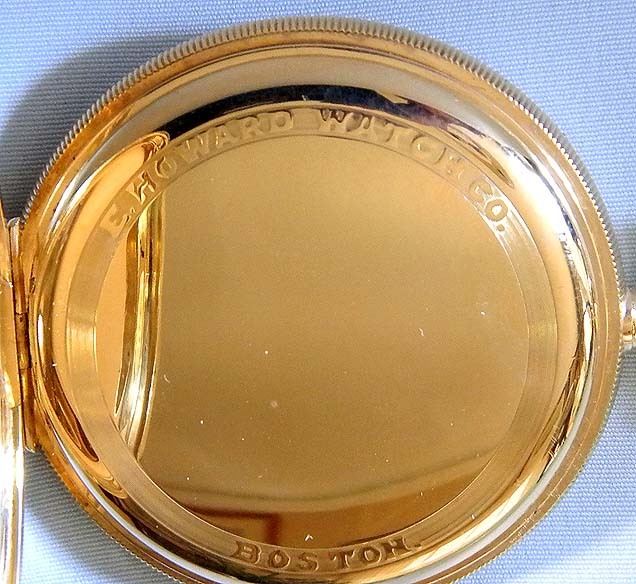 Good Howard 14K yellow gold 16/S antique pocket watch circa 1911. 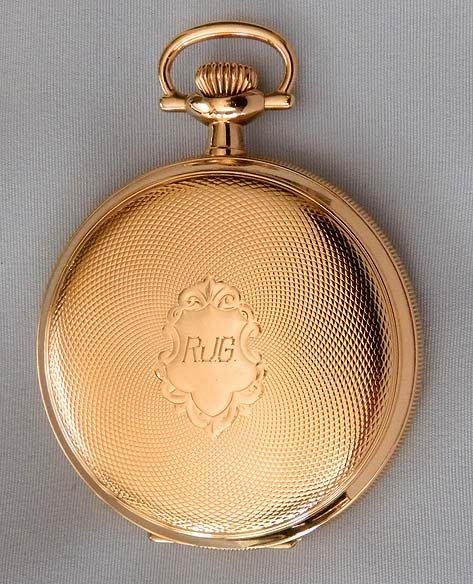 Engine turned case. 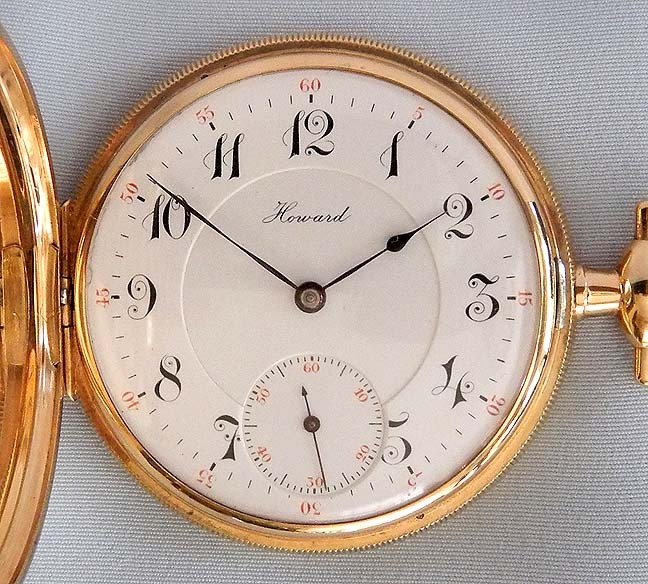 White enamel dial (clean hairline and edge chip at "25") with red and black markings and blued steel hands. 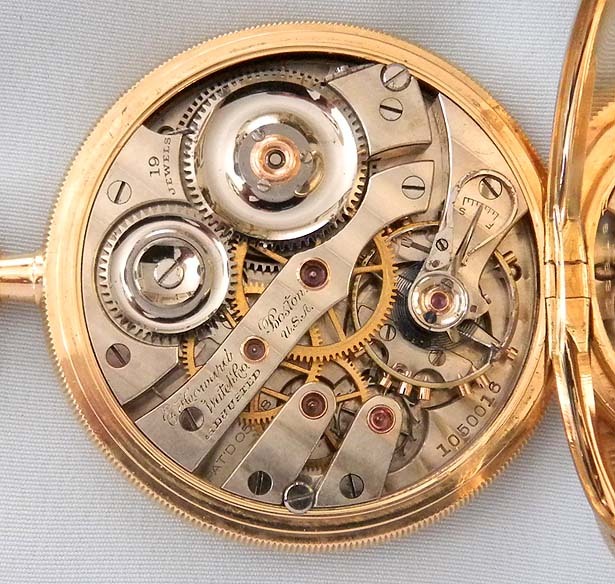 Nickel 19 jewel movement.